Could a metal album be soft, like the murmur of a snowflake landing on the ground? Could a distorted strumming give the feeling of that frozen wind, crushing at one’s bare face? What about black metal, the extremist edge of a branched genre who’s loaded with extremism – shall we forever listen to hymns of hate and slunder [slander], fast as flies, penetrating stubbornly through blunt and gurgled sounds? Until the mid 90’s, most of these questions were left without unequivocal answers, and “Aspera” constituted an appropriate answer. 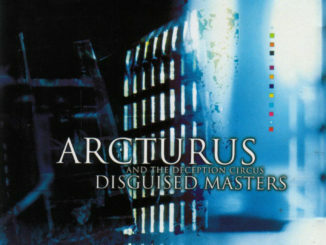 Arcturus’s debut album went out in cold 1996 after two EP’s that included experiments in forging unique sounds, blended of industrial and traditional BM. “Aspera” proved that the BM genre is wide enough to include also modest works such as “Aspera”, all wintry Norwegian romance, but also breaking the conventions of the mainstream BM. 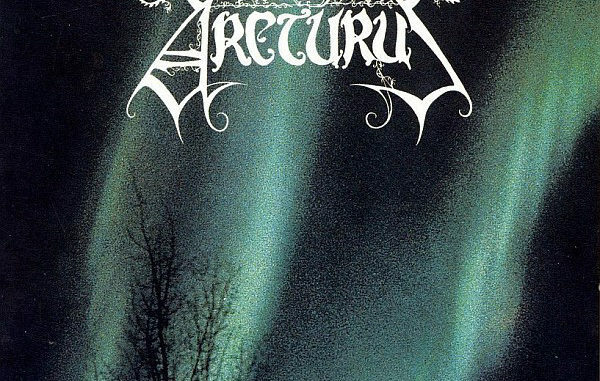 At first glance, Arcturus might be seen as yet another Norwegian scene supergroup, due to two of its members: Hellhammer, the famous Mayhem (and some other countless bands) drummer and the vocalist Garm, also in Borknagar and Ulver at the time being. In many cases, the high turnover of musicians in the Norwegian bands made the impression, as a new band comes in spotlight, that it’s just another side project. The significance of Arcturus is measured also in the consolidate work, and the listener can feel it’s a work conceived by a band and not by a bunch of mercenaries. One of the BM subgenres dedicates its creation affinity to its natural surrounding, such as the early period of Ulver and Borknagar. Their albums were based on traditional BM, yet slower, with folk elements. 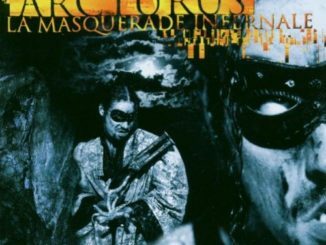 With some influence from these acts (and with the same frontman in both of them…), Arcturus created mid-tempo BM that emphasizes both enchanting atmosphere and craftsmanship. This achievement allowed the band to become the spearhead of the generically musical experiments, to speak the nature through music. The album contains 40 minutes of music, divided into 8 songs, of gentle and contemplative work of art, so exceptional in the scenery of the typical musical BM efforts at the time. The first prominent characteristic, attributed to the BM legacy, are Garm’s vocals, which rush between traditional screaming to crystal clear singing. The second characteristic is Hellhammer’s professional drumming, perfectly adequate to the work’s demands, if in dreamy speed outbursts (like in the opening track), softened double-bass and slow drum beatings – to those who are used to fast drumming in the vein of Marduk. It’s obvious that only a virtuoso like Hellhammer could perform his unique role like few others can, and restrain yearning for blast-beats etc. The difference that separates “Aspera” from other standard BM albums becomes clear also in the weight of the innovative keyboards work. In a genre in which the keyboards are usually only as a background or taking over the music, here they take the lead indeed, whereas the guitar is pushed aside a bit – however, they keep the metallic character, which creates a rich and harmonic mixture. Moreover, the excellent production and the sharp and clear sound grant each instrument the maximal expression ability. Easily, the keyboards could be swallowed by his accompanies and hurled into dough or submit to the typical Norwegian sound, which is known as “caves’ sound”. 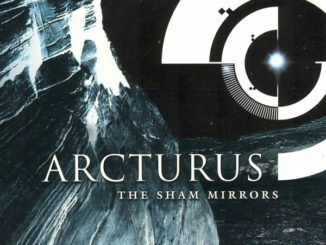 It proves Arcturus as an intelligent band, with unrestricted boundaries, ready to explore sounds beyond the known and convenient. To many acts in the BM world adhered the image of amateur musicians, only capable of playing two-chord songs. Arcturus is built from skilled and inspired musicians, each in his sphere: beside Hellhammer, there’s Sverd, master of keyboards, which displays progressive and neo-classical influences. August the guitarist also doing a great job (for example, his solo in “fall of man”, is an absolute masterpiece). In addition, half of the lyrics are written in Norwegian, but reading the English ones with the translated texts (one can find them on the internet, since the album contains only the opening track lyrics), reveals that they focus on the nature and astronomy, and of course on the spectrum of forlorn feelings, courtesy of winter. The lyrical difference is one of the characteristics of Arcturus throughout its years of creation, and always suits the musical developments. The album is made with total solidity, without boring or disappointing songs. However, three of them shine above the rest like the morning star: mentions before, the first song, “To Thou Who Dwellest in the Night” is shining grey magic, also quite romantic, in which the combination between the screaming and clean vocals projects itself as if it was a dancing troll on a snowy hill, along with a deep-voiced choir. The third song, “Du Nordavind”, brings forth a touch of Norwegian folk and warms like singing in front of a bonfire. Afterwards comes along “Fall of Man”, perhaps the peak of the album, showcasing perfect technical skills that can break some hearts with its melancholy. To everyone who desires BM to be all magic and designation, to everyone who wishes to travel in Norway without leaving home and to everyone who adores good music without labels, I’ll offer this special album.